Are you looking to expand your existing drone service business to new industries? Curious how you can find new clients in the competitive world of drones for hire? Watch this webinar to hear from a panel of experienced commercial drone operators as they share their tips for breaking into new industries, finding clients, and maximizing business success. You'll get actionable insights to help grow your drone business. Our panel will include Andrew Dennison of Uplift Data Partners, Justin Moore of Airborne Aerial Photography, and DroneDeploy's own, Andy Putch. 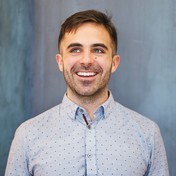 Andrew Dennison is a Co-Founder and Chief Operating Officer of Uplift Data Partners, a drone data capture company for large enterprises. Uplift has a nationwide network of drone pilots they use to deliver services to enterprise clients with sites across the US. Andrew has spent years flying and testing drone use cases in construction, engineering, real estate and insurance. He is knowledgeable with integrating drones+construction technology, safe and compliant drone operations, understanding enterprise drone integration, and more. Prior to Uplift, Andrew worked at SkySpecs, a drone company focused on automatic wind turbine inspections. He graduated from University of Michigan and is a big Michigan Football fan. Justin Moore is Owner/Chief Pilot at Airborne Aerial Photography. Justin is a native of San Antonio, Texas and has been a professional photographer since 1999 and is an Instrument Rated Private Pilot. Justin is a passionate UAS advocate who has done extensive pro bono work to demonstrate #dronesforgood. This work includes using drones to monitor great blue heron rookeries to working with field ecologists to study an isolated population of bigtooth maple trees. Airborne Aerial Photography provides drone mapping and professional aerial imagery to a variety of clients including construction companies, real estate developers and other South Texas businesses. 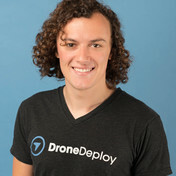 Andy Putch is currently a Project Manager at DroneDeploy and commercial drone operator experienced in providing mapping services for clients in real estate, survey, construction, and solar industries. He was previously a co-founder of FreeSkies, a DJI mobile applications startup designing 3D autonomous mission planning software. Before FreeSkies, he was an autonomous systems researcher with the University of Illinois Bretl Research Group exploring emerging SLAM and other GPS-denied UAS control systems. 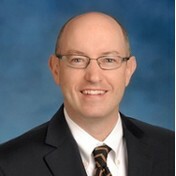 He has also worked as an aerospace and defense corporate strategy consultant with Renaissance Strategic Advisors and as a NASA Aeronautics Academy Intern at the Armstrong Flight Research Center. Andy is a private pilot, FAA Section 333 exempt commercial UAS operator, and commonly featured speaker/panelist at drone conferences and trade shows.